Poly-V belts have triangular section longitudinal ribs. 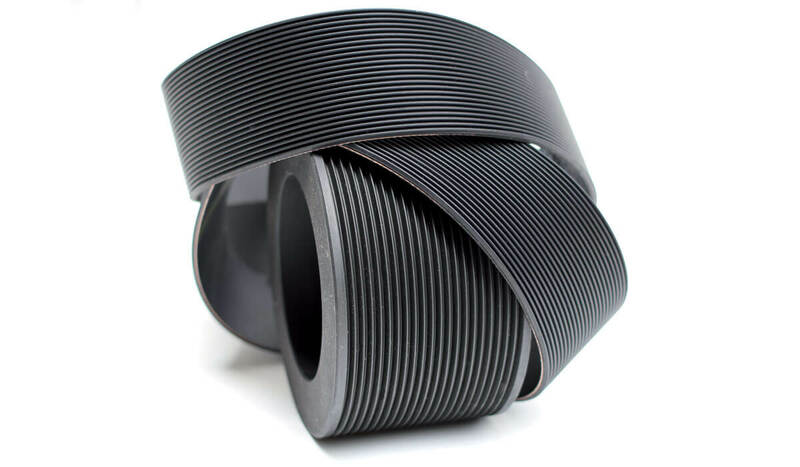 Thanks to the reduced thickness, these belts are very flexible and can be wind up on very small diameters. 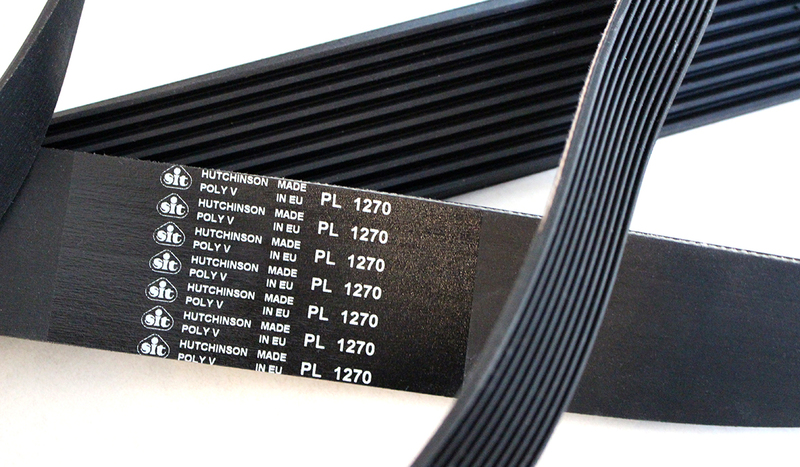 Poly-V belts can achieve higher peripheral speed than V-belts. SIT Poly-V pulleys for mounting taper bushing are designed and manufactured with extreme accurancy to ensure optimal lifetime and performance of the transmission systems. The pulleys are manufactured in accordance with ISO 1940. 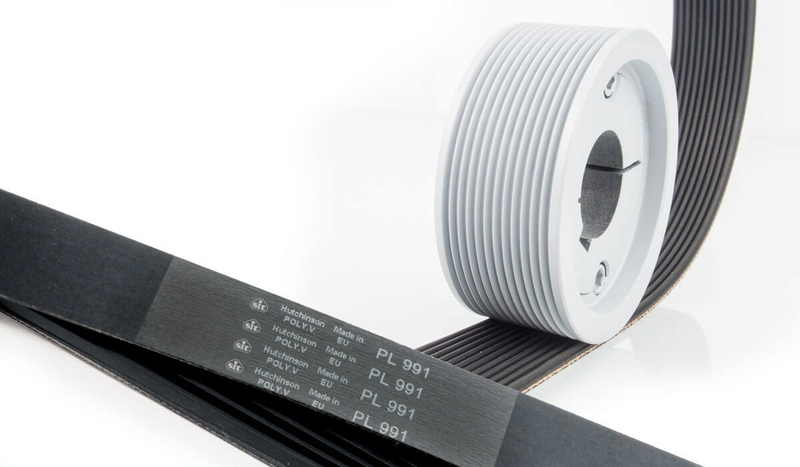 Poly-V Flexonic® is an elastic belt that can be installed on a fixed center distance. Thanks to its elastic polyamide cord the belt maintains the tension in the system lifespan. These elastic belts are fully compactable with all Poly-V pulleys. 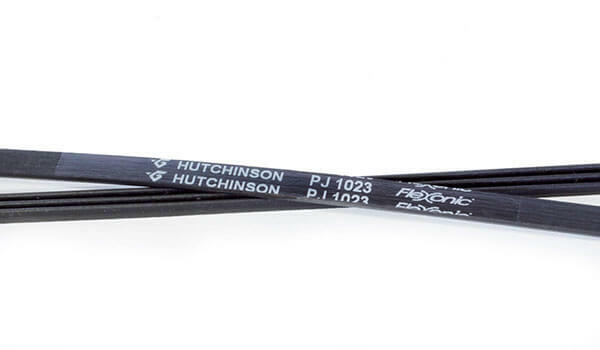 Poly-V Conveyxonic® is an elastic belt that can be installed on a fixed center distance. Thanks to its 97% efficiency and no need for lubrication, these belts are a valid and cheaper alternative to chains. With this type of belt is possible to put in motion up to 50 rolls with one motor. Depending on the profile shape (J, K) they can handle loads from 300Kg up to 2 tons. 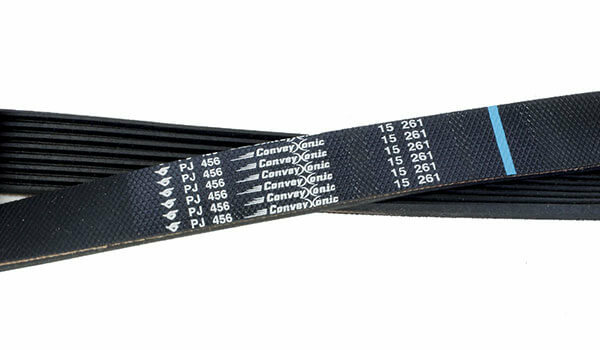 These elastic belts are fully compatible with all POLY-V pulleys.